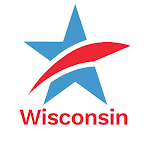 Common Cause Wisconsin: CC/WI Reform Event at UW-Madison on February 21st! CC/WI Reform Event at UW-Madison on February 21st!Tweet this! Are the no women who can talk on this issue?